This 14,000 SF facility houses a 9,000 SF Optometry Clinic and a 5,000 SF Surgery Center. The Optometry Clinic supports three optometrists and one retina specialist, as well as a Lasik suite. The patient flow is organized in a counter-clockwise direction with patients moving from the six testing rooms to dilation to the fourteen exam lanes and then to check-out. They conclude their visit in the retail optical shop to select their glasses or contacts. The Outpatient Surgery Center includes one Class “B” (conscious sedation only) operating room for ophthalmic surgery procedures. The surgery suite includes piped medical gases for oxygen and vacuum. 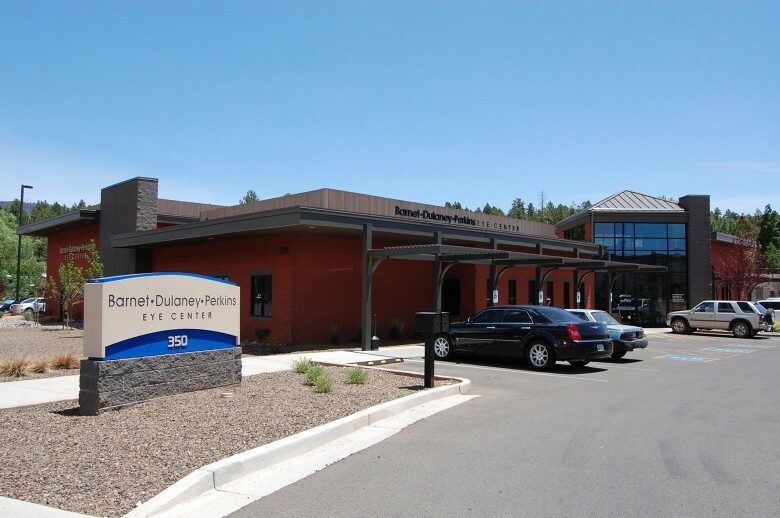 The Surgery Center is AAAHC accredited and is State licensed. This entry was posted on August 15, 2013 by swaim_admin.